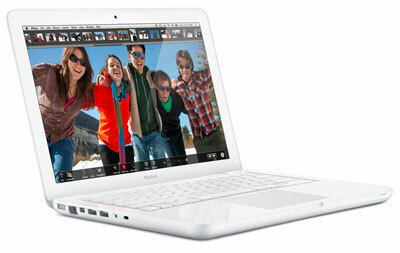 Recently, I spent some time reinstalling OS X and the applications on one of my Macs (s aapl). Before reinstalling Microsoft Office 2008 for Mac (which really isn’t up to the standard of its Windows counterpart), I thought I’d consider the alternative Mac word processors available. The word processors I’m going to look at in this post all have a short learning curve because they stick to Mac interface standards, so you’ll be able to be productive quickly, which is always a good thing. Take a good look at the documents you produce and the features you need; one of these word processors might be a ready alternative for you, especially if you are working on an older Mac and don’t want to invest in a costly Microsoft Office license. Bean. This free word processor has a light footprint which can be important if you don’t need all of the features (and bloat) that Microsoft Word brings with it. It requires a Mac with a PPC or Intel processor running OS X 10.4 Tiger, OS X 10.5 Leopard, or OS X 10.6 Snow Leopard, so it can even be an option if you are trying to bring life to an older Mac. This is a great alternative word processor if you don’t need features on the level of Microsoft Word. Mariner Write. This word processor was part of the last MacHeist offering, and includes a well-designed menu structure, spelling/grammar checker, and support for many document formats, inlcluding Mariner Write (a proprietary format), Stationary, RTF – MS Word, RTF – Mariner Write, Text, SimpleText, TeachText and PDF. While I liked Mariner Writer during my testing, its incomplete support for Microsoft Word — a standard document format for many of my client projects — makes unlikely to adopt it for my professional writing projects. It costs $49.95. Pages ’09. Part of iWork ’09, Pages is a very capable word processor that includes a wide range of templates, advanced features like table of contents, tables, shapes, sharing via iWork .com (covered by Imran), and the option of saving documents in MS Word format. My testing of conversions to Word format were hit or miss so I recommend testing for yourself through the software’s 30-day free trial prior to purchasing it ($79.00). Nisus Writer Express. This Mac word processor comes with Nisus Thesaurus as part of the same download package. As a word processor, it includes a document manager, paragraph sorting, document styles, tables and macros. It does not include a table of contents feature (unfortunately, a deal breaker for me). It costs $45 (a free trial is available). What is your Mac word processor of choice? Share it below. Like others, I used OpenOffice when using a Windows computer, and happily switched to NeoOffice when I bought my first Mac – and still using it. But for a change of pace, OmmWriter is definitely worth a look at in this hectic world. If you could buy Pages as a stand alone (like for the iPad) I might give it a try. Does your NeoOffice (or anyone else out there) support complex documents such as thesis papers and/or research document development? My MS word locks up a lot, causing me to lose a lot of work…does NeoOffice ever give you that problem? I have recently “closed my Windows” as it may and changed to Mac. No way I am going back. And as it was when I used Windows, my word processor (well, more a suite) is OpenOffice.org. So Writer would be my wp. I also use Google Docs for shared documents outside my usual network. I prefer Pages to Microsoft Word. In fact, I prefer the whole iWork suite to Microsoft Office, even though sometimes intensely formatted documents don’t convert quite right. Lately though, Google Docs. The word processor is basic, but the ease of collaboration trumps all that. If you haven’t tried it, give it a shot. As I usually work with two languages, very often in the same document, I’m stuck with MS Word. None of the other word processors let you define the language for individual paragraphs or even words. If it wasn’t for that, I’d probably use Pages. For longer prose writing, I use Scrivener, even though I have to export or otherwise convert my text to Word so that my editor can work on it. Seriously, Emacs is great 1960s technology; right up there with APL and Lisp – which, if memory serves, all came out of the same institution (MIT). If you’re more of a perl geek than a Pythonista, you’ll probably love Emacs… it’s got at least as many key combinations as the Rubik’s Cube has permutations. (According to Wikipedia (http://en.wikipedia.org/wiki/Rubik's_Cube#Permutations), that would be upwards of 43 quintillion options. 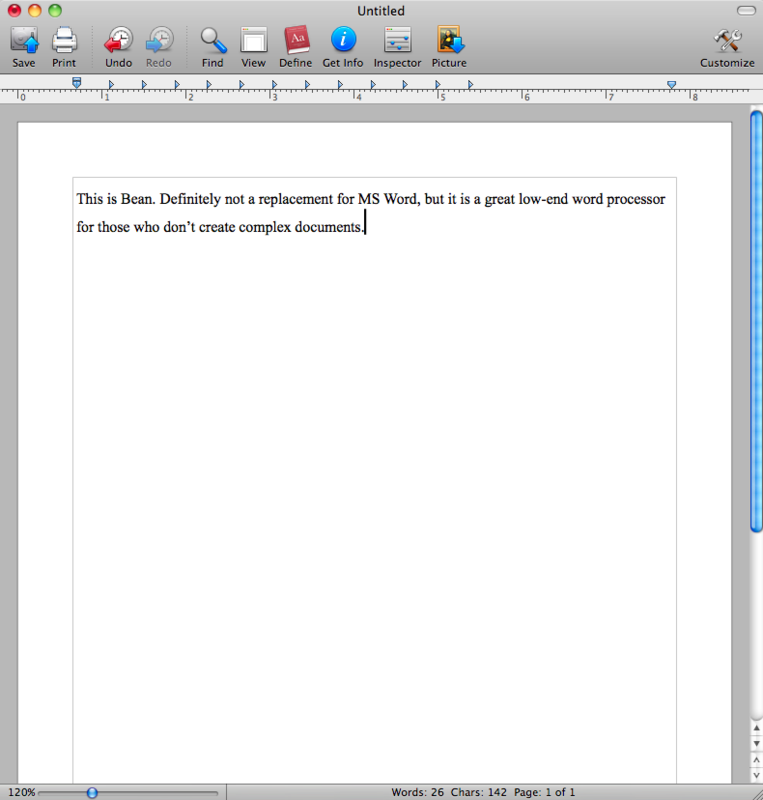 Ommwriter is pretty slick for peaceful, distraction-free writing. Virtually no features, which is either a blessing or a curse, depending on what you’re doing. Do they have to be native Mac apps? What about google docs? I’ll admit I’m not a major word or any other word processor user but google docs works pretty well for me and a lot of clients I work with. Surprised that the OP disses Word for Mac; that’s the single most-raved-about software from a large number of Switchers I’ve brought over to the Mac in recent years. “Much less painful” is the most common comment. That being said… Word:Mac is my #2 most-used word processor now. I generally fire up Pages first; the current version (’09) has far fewer interop problems than any other non-MS package I’ve used on the Mac. I still get a few docs that will only render properly in Word – but if I’ve a mind to, it’s usually the matter of a few minutes to clean them up to something that Pages can deal with – and I’ve only ever had one recipient say he had a problem with the file I sent back. (That was quickly rectified using Word:Mac). I have always thought it good to have more than one set of tools for each of your main toolchains – office, technical writing, coding, whatever – and to switch between them regularly. This not only keeps your mind limber and able to learn new things more easily, but it helps you appreciate what works for you better than others, and provide feedback accordingly. As in any true marketplace, this requires a two-way conversation between customer and vendor for the benefit of both. ‘Word Processor’ is so last-century. Any web worker worth his or her salt is using a development-integrated text editor like Coda. NeoOffice rocks. Full Featured. And yes, includes Table of Contents feature. Love it. I’m very happy with Scrivener. It worked fantastically for NaNoWriMo. I have used NeoOffice since I got my Mac. I love OpenOffice on my PC and said “why not” and went with NeoOffice. Why bother paying for something that is bloated, and with features you’ll never use?! We are transitioning from PC to Mac in our office, we tried OO 2.1 hoping we could put everyone on it (PC and Mac). Unfortunately there are still a lot of bugs that cause it crash, and there are lots of compatibility issues between OO and MS Office. 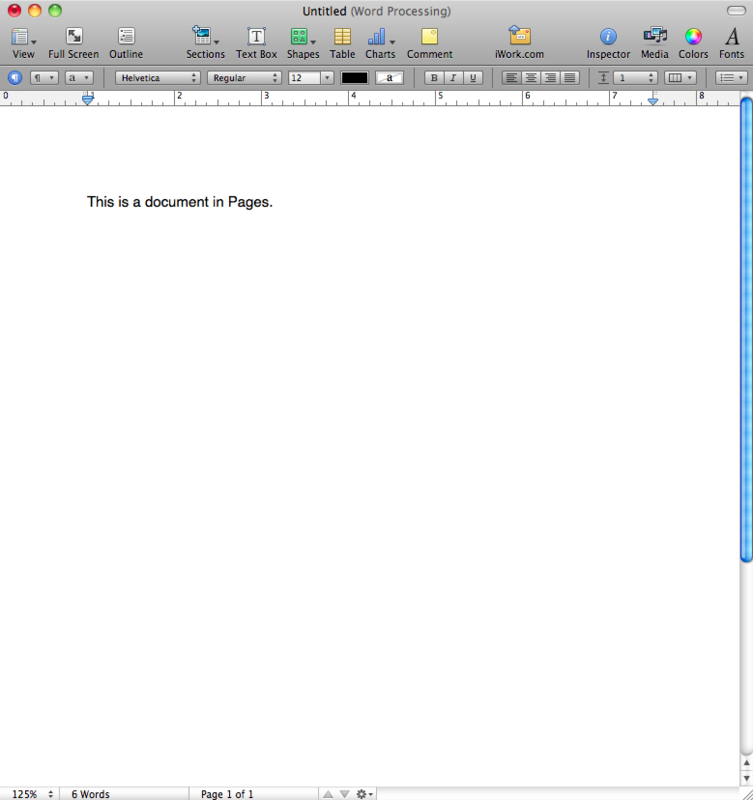 We ended up adopting MS Office for Mac 2008, it has been fine so far. FWIW, IBM announced a beta of Symphony due later this year which will be built on top of OO 2.1, and it will be free. Mellel is another fantastic Word processor for Mac. I use it for academic and professional writings. It has not a so short learning curve. However, once the effort is done, a good surprise comes up. It is very fast and reliable with a lot of features available. Nothing lacks and nothing is superfluous. At the price of USD 49, I strongly recommend it to anyone. I’ve recently spent a lot of time using WriteRoom, it’s a totally black screen with green text (like an older PC) and is brilliant for when you need to minimise distractions. 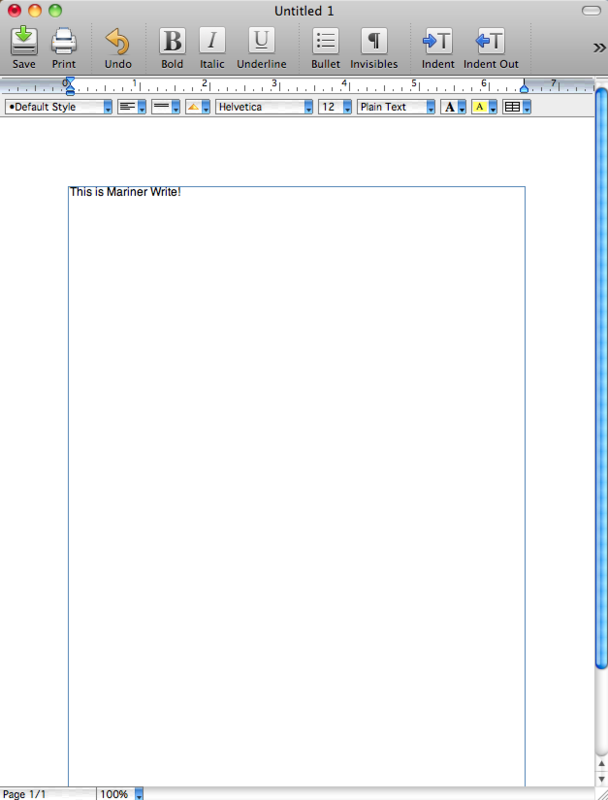 Open Office dot org’s word processor (called Writer) is a very good (and free) alternative to MS Word.